Now is the time of our discontent. A brand new Ford Raptor that I would like to change a few things on. For those who still need native windows apps, and we're not talking Wine compatible apps - Vmware workstation is "easy enough" to use. There are plenty of free alternatives, however myself and my group still work and develop much with Vmware. Therefore it's quite easy for me to work and deploy in and out of vSphere driven clusters. Downloading Vmware generally requires a license key - so that's a bummer for those who don't want to kick in some cash. However before we install we will need Linux Kernel Headers. "sudo apt-get install linux-headers-$(uname -r)"
After that, you should be able to install vmware with "./VMware-Workstation-Full-9.0.1-894247.x86_64"
Going back to Linux - and a new laptop. After 5 or so years of running MAC OSX for my desktop, I've decided to go back to Linux. Don't get me wrong, Apple has done a great job with making the user experience as seamless as possible. Even from a development standpoint, using xCode or Darwinports + eclipse IDE's are very easy to use. HOWEVER. There are times that I need the flexibility - not to mention the bang for the buck you receive when purchasing non Apple products. Now, you loose out on that "tight user experience". At this point, it's an adventure I need to take. 8GB of memory, solid state drive, Corei7 quad core processors. Loosing the nVidia video card in exchange for Intel *bridge HD4000 video. Good enough for the majority of the work I'll be doing. Install base of Ubuntu 12.10 x64. I'm not here to debate builds - don't care. I want a decently supported desktop build, I'll see "how bad" unity is. Considering that corporate apps are predominately windows based, I'll still be relying on Vmware Workstation w/ unity for some of the crustier apps. For those who care and are following suit, I plan on posting updates on "things needed" for this build. Nest 2.0 setup and review. 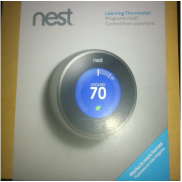 For those of you unfamiliar, NEST (http://www.nest.com/) manufacturers 3rd party thermostats for the home upgrade market. 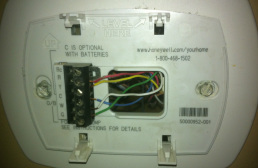 Owning a SEER 16 HVAC, and a Honeywell basic digital thermostat certainly gets the job done. However I did want the ability to change the time of day that the HVAC operated, as well as have the ability to possibly lower cooling costs in the summer. NEST professes to do this with their trademarked "AIRWAVE",which simply turns off the compressor while running the fan during the last few minutes of your cooling cycle. Wanting to see how much was gimmick, how easy it is to install, and how useful it actually is I decided to purchase one for myself. NEST certainly took a lesson from Apple when it came to the presentation of a product. The boxing was very clean, with the thermostat itself nicely tucked away in a carrier. Tucked away under the thermostat is everything you need. A small multi purpose screw driver, screws for the back plate thermostat coupling with wiring harness to your HVAC, and effective instruction manual. For me, installation was quite simple. The instructions are easy to follow, and each HVAC system is slightly different. 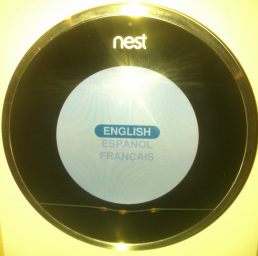 However NEST professes that the "2.0" revision supports 95% of all home HVAC installations. It appears that the only complications are multi stage heat pumps, humidifiers AND dehumidifiers, and possibly multi zone systems. 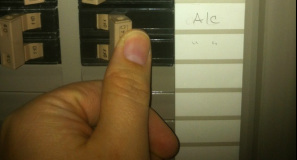 1] Turn off breaker to your HVAC system. 3] Document wiring. NEST install manual comes with instructions and nice labels. 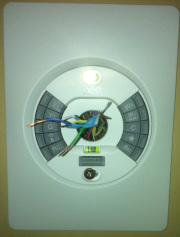 5] Install cover plate and thermostat couple. Insert wiring into respective push in terminals. 2] Remove existing thermostat from it's coupling (varies), mine pulled right off. 4] Remove old plate, install plates provided by nest. 6] Seat thermostat on coupling (it pushes on) Power on circuit breaker, then follow prompts on thermostat! 8] Follow setup prompts for your HVAC system and wiring, let it update. 30 day review to come, however the initial inspection is great. Easy to setup, the calendar can be edited however it will "learn" your heating & cooling habits and will edit the schedule for you. All in all, great for a technology & art play. 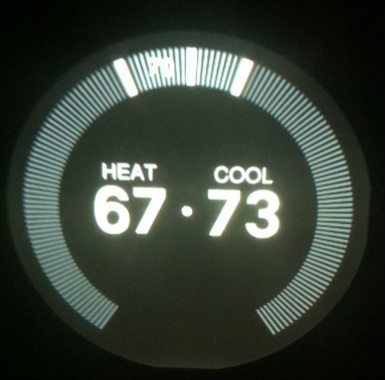 We'll see if the price tag is offeset by HVAC controls efficiency. In an effort to make this easy, I moved some sites to weebly. It boils down essential elements of website into a flash driven front end. All well and good, but administration can be a double edged sword! Two blog posts to start, and one with 1000 or so words, all detailing the ins and outs of jumping to conclusions with wireshark captures. All great, until I delete my own post. No archival, no roll back.